Learn how to meet your CEO's expectations while upgrading security. I would like information, tips and offers about Office and other Microsoft products and services. Privacy Statement. By clicking/downloading the asset, you agree to allow the sponsor to have your contact information and for the sponsor to contact you. Brought to you through InformationSecurity.Report. To receive free reports, market research and product information about your favourite technology companies, please visit InformationSecurity.Report. 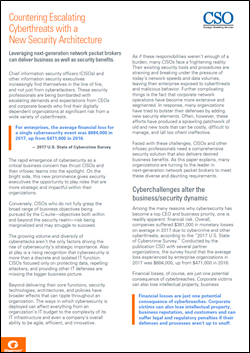 © 2019 The Information Security Report . All rights reserved. All other trademarks or registered trademarks are property of their respective owners.